I think everyone experiences periods in life that feel too hectic, less clear, maybe a little lost. I’m feeling one of those times now as we go through some changes in our family dynamics. This morning I looked out the window and I saw our Maple tree had turned red almost overnight. How beautiful, I thought. It filled me with a little spark of joy and I tried to hold on to that a bit longer, to savor it. I felt the urge to look up some poems about the seasons. Just as the earth goes through its natural seasons, so too do we in our lives. I knew I’d find something to speak to my mood. As I perused some of my books, I came to Wendell Berry. This poem spoke to me and whispered a reminder to look to Nature for strength and peace. I do find myself renewed by time spent outside. 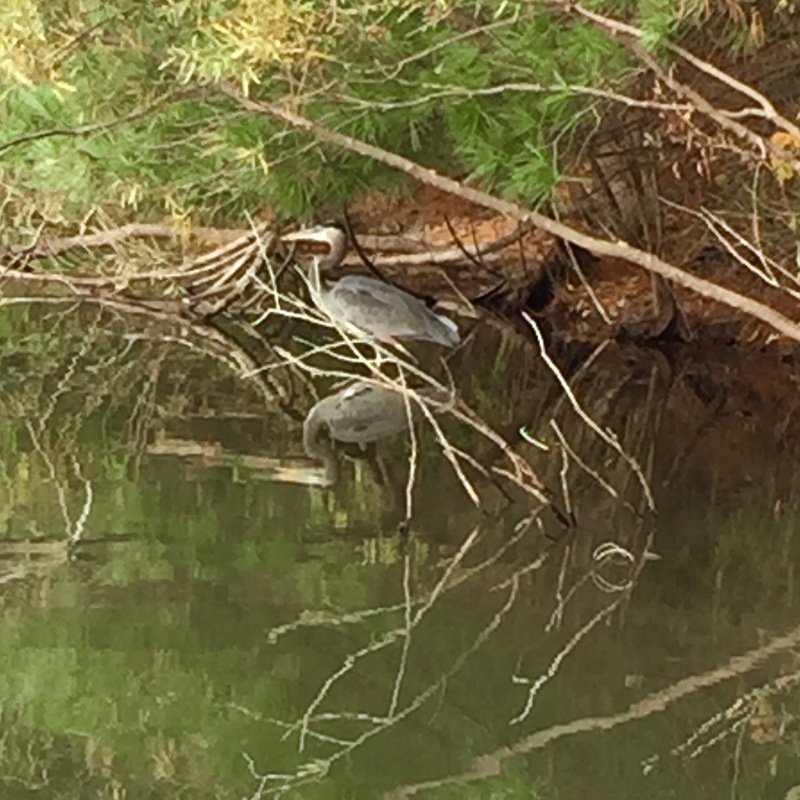 This past week, while out walking my dog, I came around the back of the pond to find a huge blue heron wading at the waters edge. I believe the heron is my mother’s spirit visiting me as it began coming to visit us from time to time the week she passed away. When I came around from behind the trees, the bird made no motions to move but rather just watched me as I watched it. I thought of this, too, as I read the Berry poem this morning. There is so much available positive energy for the spirit in the natural world. I just have to take the time and also look up to notice it! The thought there is that there is always beauty available to us. We have to make the effort to notice though. So I am recommitting myself to finding peace in nature, to showing up and noticing and breathing deep the calm of the wild things. What do you do to feel refreshed and rejuvenated? 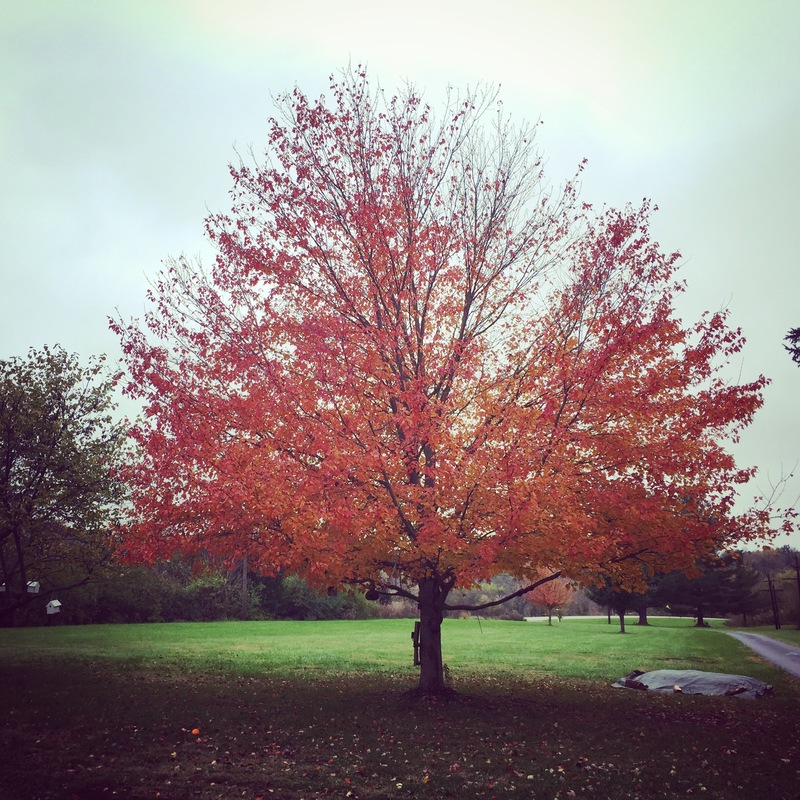 Awe Erin – this is a beautiful post – which has truly caused me to pause – and reflect as well. I always feel at peace when I’m with Nora and most especially when I get to rock her to sleep in her room with the night light and the soft glow. The night light was a gift from Shelley and I can hear her words to me – ‘Nora is here for a reason’ – I know the reason now for sure. Sending you a hug.